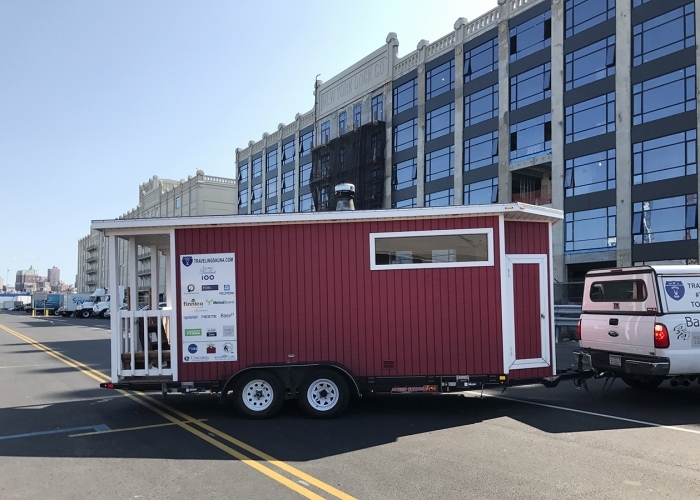 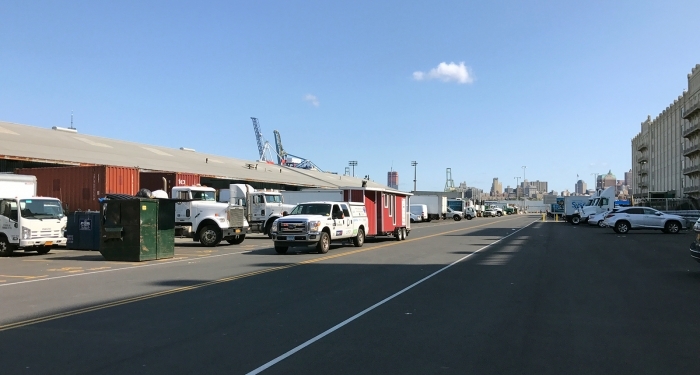 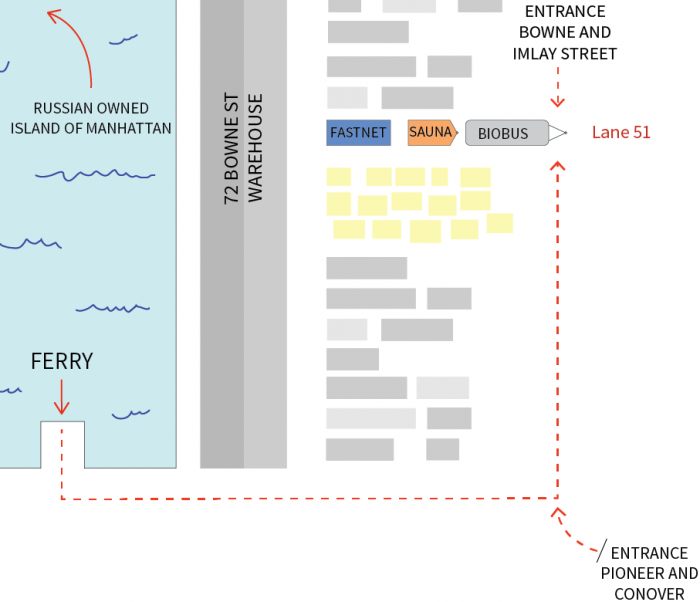 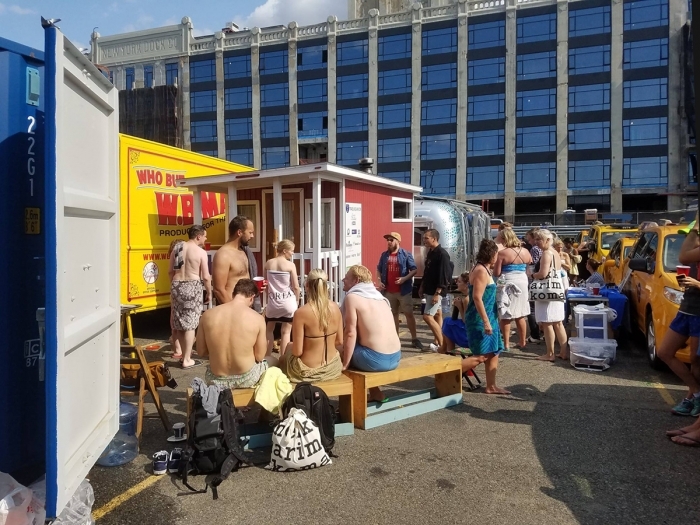 Fastnet, Jackie Aude and Paula Wegman are happy to host the Traveling Sauna at the Brooklyn Cruise Terminal. 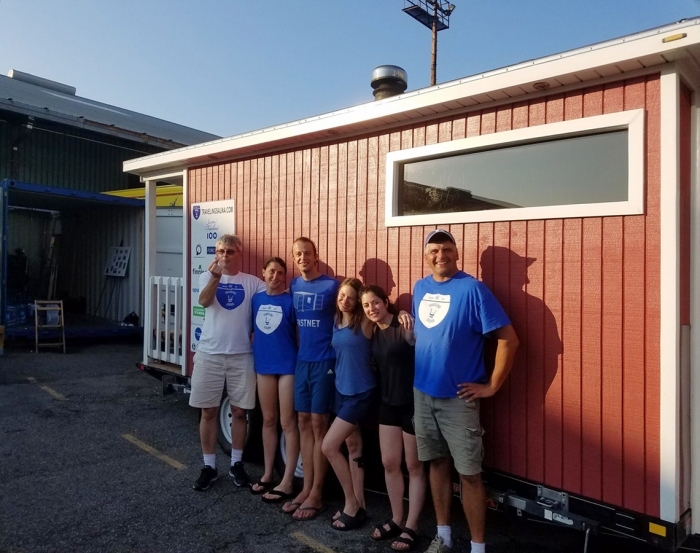 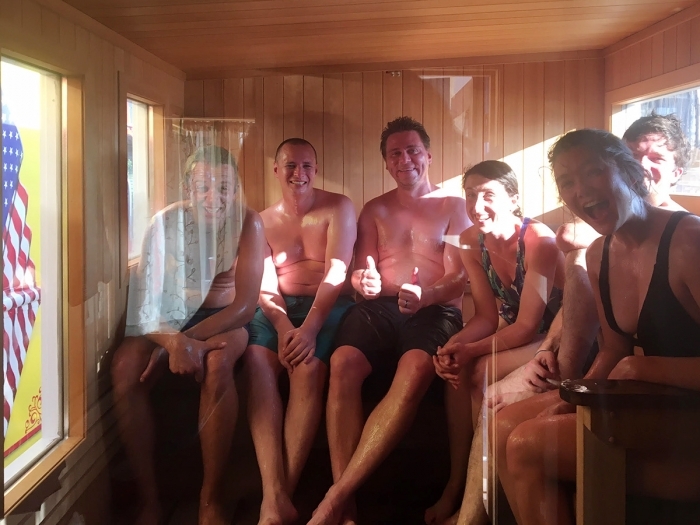 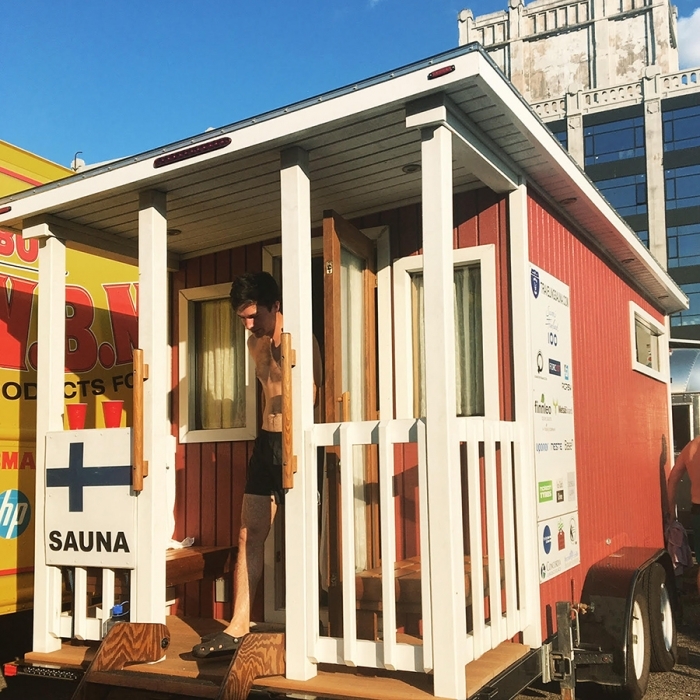 Harking from Minnesota, the Traveling Sauna is a fully functional sauna built on a trailer. 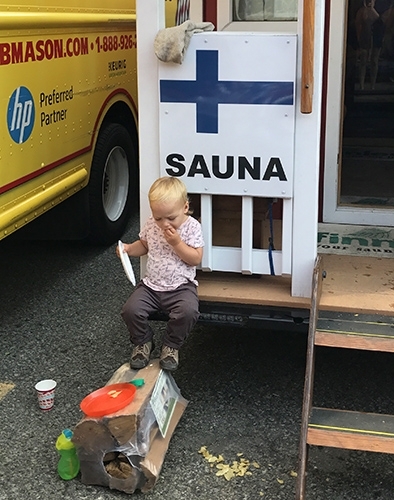 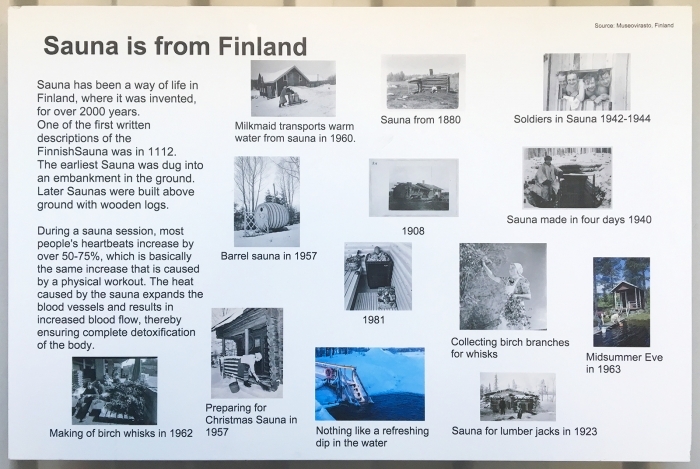 The project is a celebration of Finland's 100 year independence from Russia (and America's one year dependence), Finnish Culture and the Art of the Sauna.